This stylish antique floor lamp, shaped as a beautiful Sevres-style vase on an ormolu base, will add elegance and splendour to a traditional interior. 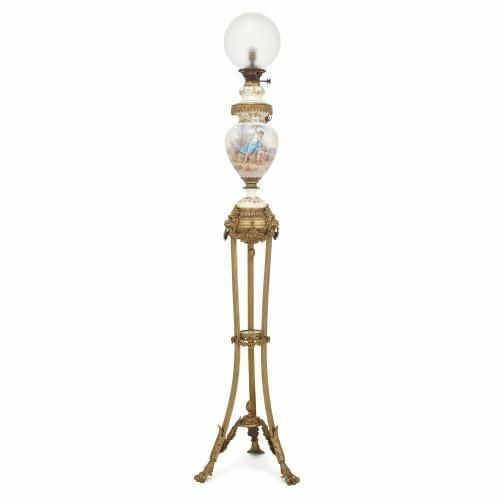 Unashamedly splendid, this antique French floor lamp is testament to the quality of French craftsmanship in the 19th Century. 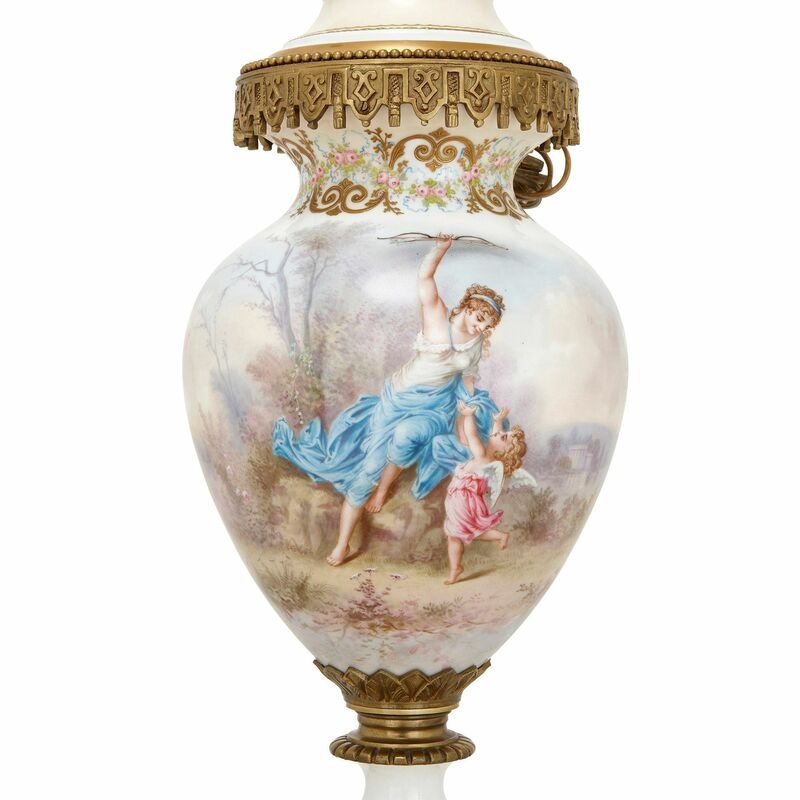 Combining expertly-painted porcelain, decorated in the style of the celebrated Sevres Factory, with impressive ormolu mounts, this lamp was designed to make a grand statement in a room or hallway. 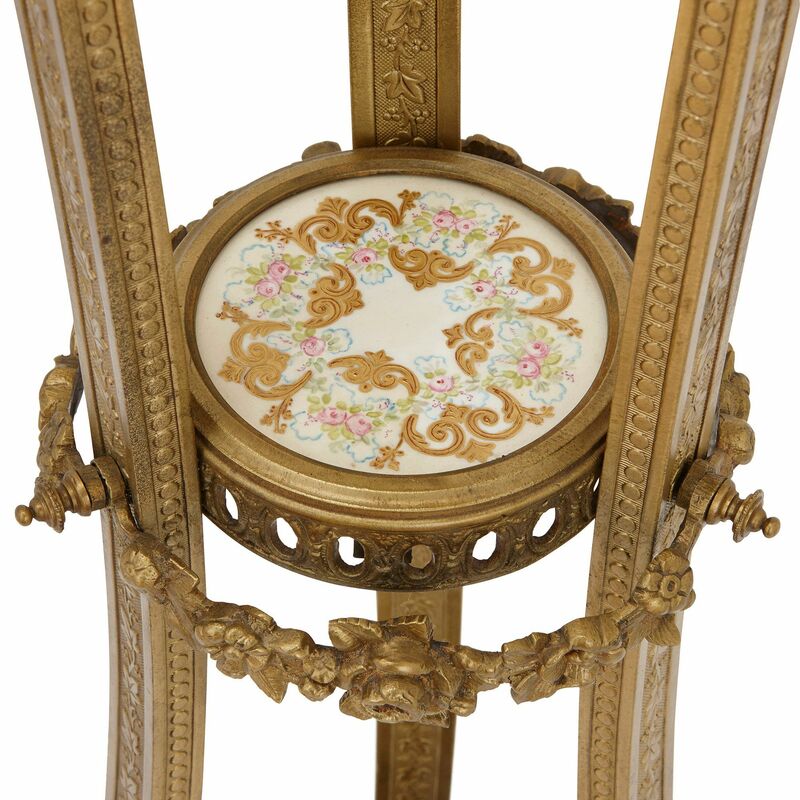 The lamp is supported on an ormolu tri-form stand which has slightly flared paw feet, decorated with acanthus leaves and joined by a central platform. 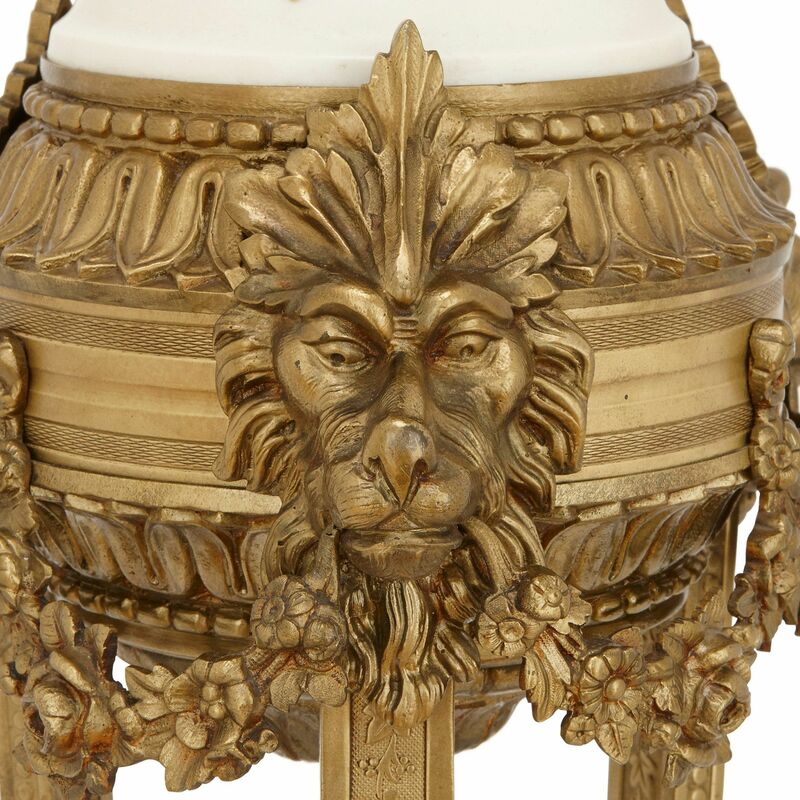 At the centre of the stand there is a further circular platform with a porcelain inset, and the top of the stand finishes with three lions' heads joined by floral garlands. 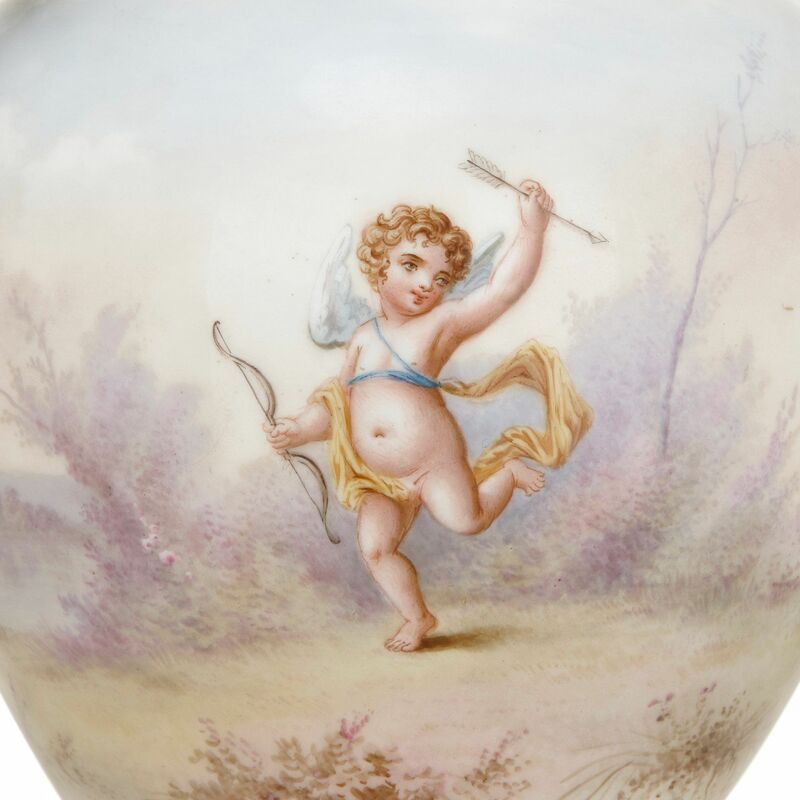 Above this sits the wonderful Sevres style vase, ovoid in shape and decorated all the way around its exterior with a scene showing a woman and a winged putti to the front, and a single winged putti to the reverse. 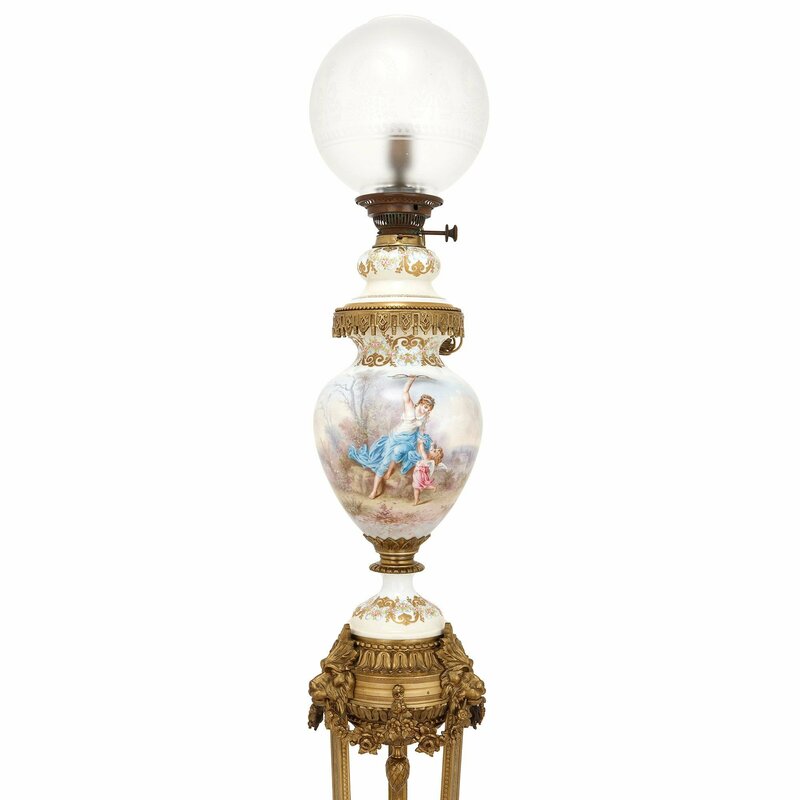 The lamp fitting sits at the very top and is cased inside a frosted glass shade.